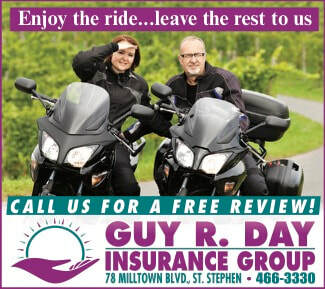 You can trust our team at Guy R Day when you need to make a decision on insurance for your bike. 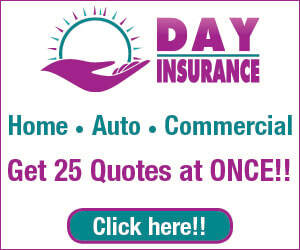 As your broker, we are not tied to just one insurance company. We have several A+ rated insurance carriers we can shop with, to make sure you get the very best motorcycle insurance and the lowest premiums. Why do I need insurance on my motorcycle? You need insurance on a motorcycle for the same reason you need it on a car; accidents happen. Liability insurance is required in New Brunswick. If you think motorcycle insurance is a “wasted” expense, think again: Insurance is more about managing your risks above any other consideration. Without insurance, all it takes is one accident to drain your savings or your ability to pay medical expenses for yourself or someone else you’re responsible for. Do I need the same coverages I have on my vehicles? Whether you’re in a car or on your motorcycle, you only have so many assets to your name. Regardless of the vehicle you’re driving at the time, if you cause an accident you’re liable for the damage. If you have $2,000,000 liability on your car and hit a 7 passenger van, you have $2,000,000 to pay for your liabilities there. If you only have $500,000 on your motorcycle and hit the 7 passenger van, you only have $500,000 to cover their expenses. Collision and comprehensive coverage is a different story. Similar to buying your teenager a 1990 vehicle to learn to drive on, if your motorcycle is from 1990 as well it might not be worthwhile to have collision coverage. Comprehensive coverage protects your bike against theft and fire, among other things. 14,971 motorcycles and mopeds were stolen in the UK in 2016. What is the Motorcycle Graduated Drivers Licensing program? In 2015 the New Brunswick government created this program to educate new motorcycle drivers, similar to how licenses are given for vehicles. This is open to people above the age of 16 who pass an approved motorcycle training course, vision screening, basic, and sign tests. The driver cannot drive the vehicle from sunset to sunrise, drink alcohol, tow, nor have passengers for the 12 month program. Lastly, you must pass the road test before you can be fully licensed. If I cancel my insurance half way through to put my bike in storage, I’ll save half the premium. This is false. Policies for seasonal vehicles like motorcycles, boats, and snowmobiles are adjusted for the fact that you won’t use them in the winter. Even though your coverage is good all year, you’re only paying the premium for the time you would be using it. If you were paying premiums for the full year, it would likely cost double. Leaving coverage on your motorcycle full time also means that if it’s being stored in a storage unit somewhere and it gets stolen, your comprehensive coverage will still protect it.